Hello everyone! How was your Monday? Mine was fine, but definitely not as exciting as what was happening on Purdue’s campus for Purdue Ag Week! Milk Monday was once again a success, with hundreds of students enjoying free grilled cheese and milk while learning some facts about dairy products. 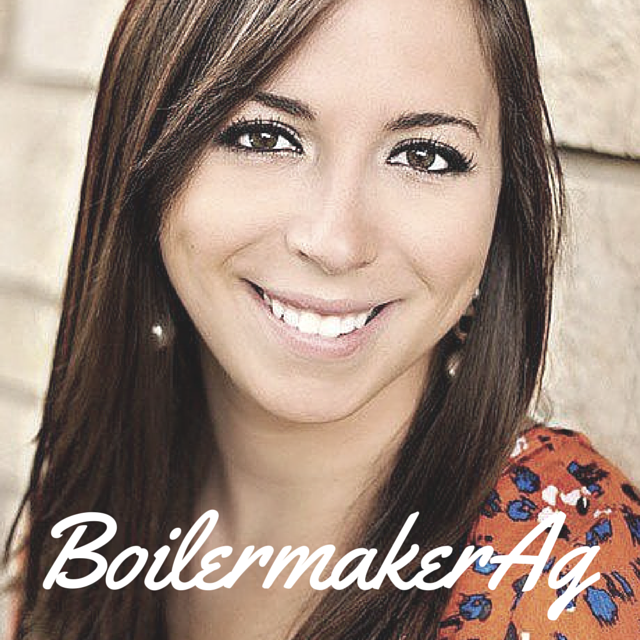 Check out these great Milk Monday photos from Purdue student and fellow blogger, Samuel at Life of a Future Farmer! Boilermakers ended their Monday with the privilege of listening to Dairy Carrie and Brian of The Farmer’s Life share about life on the farm. 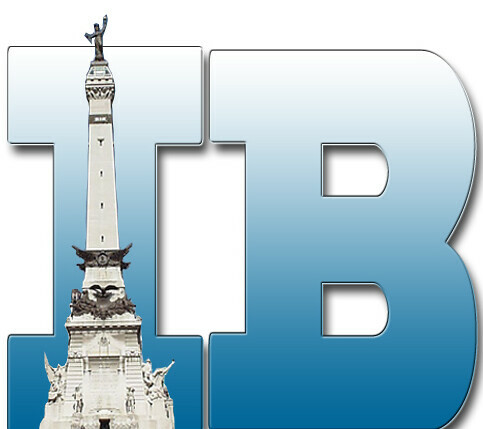 Today, Ag Week continues with a variety of engaging events. Kicking off the day is Heifer International’s new event. For a small donation ($1) which will go to Heifer’s global ag efforts, students can love on a little calf! Getting to give these little calves a smooch is adorable, but the cause these donations will go to is the real star of this event. Heifer International’s mission is to work with communities to end world hunger and poverty and to care for the Earth. Founder of Heifer International, Dan West, was a farmer from the American Midwest who went to the front lines of the Spanish Civil War as an aid worker. His mission was to provide relief, but he soon discovered the meager single cup of milk rationed to the weary refugees once a day was not enough. And then he had a thought: What if they had not a cup, but a cow? That “teach a man to fish” philosophy is what drove West to found Heifer International. And now, nearly 70 years later, that philosophy still inspires their work to end world hunger and poverty throughout the world once and for all. They empower families to turn hunger and poverty into hope and prosperity – but their approach is more than just giving them a handout. Heifer links communities and helps bring sustainable agriculture and commerce to areas with a long history of poverty. Also in Memorial Mall, will be the Agronomy Club and ASAP discussing Ag Policy and GMOs. These are both hot topics in the agricultural industry that most people don’t know much about. GMOs (genetically modified organisms) are simply the process of intentionally making a copy of a gene for a desired trait from one plant or organism, and using it in another plant. This process is used to select valuable traits such as reduced yield loss or crop damage from weeds, diseases, and insects, as well as from extreme weather conditions, such as drought. There are several misconceptions around GMOs that these students will strive to clear up. One is that GMOs are bad for our environment because the farmers that grow them spray huge amounts of pesticides. But in fact, GMOs actually reduce the impact of agriculture on their environment and their costs — by applying pesticides in more precise ways, for example. Another misconception is that people think all crops are now being genetically modified. This isn’t true either. Did you know there are currently only eight crops commercially available from GMO seeds in the US? They are corn (field and sweet), soybeans, cotton, canola, alfalfa, sugar beets, papaya, and squash. A lot of the crops that people think are GMOs are actually hybrids. (For example, a honeycrisp apple is a hybrid, not a GMO.) A hybrid produce is created when two different varieties of a fruit or vegetable, or two different types of a fruit or vegetable, are cross-bred with each other. This is not the same thing as a GMO where a selected trait has been inserted into a plant’s DNA. To learn more about GMOs, I encourage you to visit www.GMOAnswers.com. The final event of the day will be the second annual “Hammer Down Hunger” meal packing event. Last year, students from Ag Week packed over 57,000 meals to send to underprivileged children in Haiti. This year, their goal is to pack 70,000 meals! I don’t think they’ll have a problem hitting their goal. The Ag Week Task Force told me that the shifts for this event are already filled by around 500 students (from all over campus) willing to volunteer! How awesome! I hope everyone has fun at all of the events today! I’d love to hear if you get the chance to attend any of them! If you post any photos or updates on social media, be sure to use the hashtag #mAGnifyPurdue so I can see how the events are going. Also, be sure to check back again tomorrow for Wednesday’s events. One important event I’m looking forward to sharing with you is the Farmer’s Breakfast from Ag Communicators of Tomorrow and Collegiate 4-H! This unique event will be providing students with a complete breakfast meal for only $0.25 – check back tomorrow to learn the meaning behind this certain price! 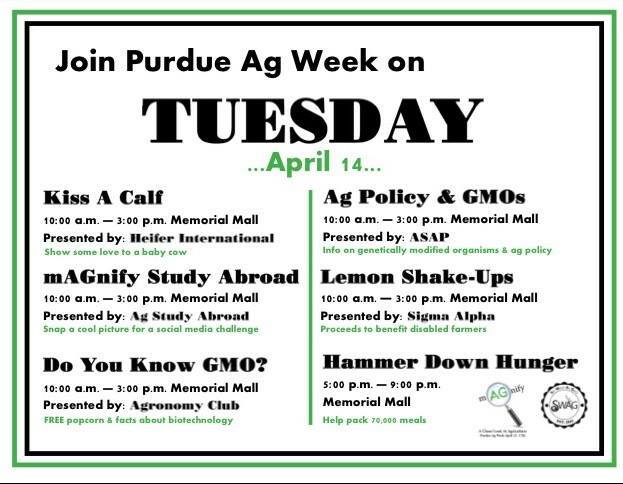 Posted on April 14, 2015, in Ag Events, Agvocating, Did You Know?, Purdue and tagged Facts on GMOs, Hammer Down Hunger event, Heifer International, Purdue Ag Week, Purdue Agronomy Club. Bookmark the permalink. 1 Comment.